Create with love and make every second count. Capture memorable moments, share your funniest videos, and get entertained! Create videos using top-of-the-line facial recognition. Load instantly and enjoy a smooth and lag-free interface. Add your favorite music or sound to your videos. Capture memorable moments whenever, wherever. To subscribe, text the keyword of your choice to 8080. 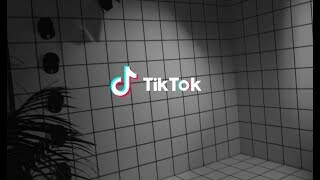 TIKTOK15 to get 100 MB for only P15, valid for 1 day. TIKTOK50 to get 600 MB for only P50, valid for 7 days. TIKTOK199 to get 1 GB for only P199, valid for 30 days. Watch millions of videos selected specifically for you with up to 1 GB data allocation. Shoot fun videos at home with a fast connection. Get a Globe At Home Prepaid WiFi or a Streamwatch Xtreme Prepaid device. Load up via the Globe at Home App. HOMESURF15 to get 1 GB, valid for 1 day. HOMESURF199 to get 12 GB, valid for 7 days. Be creative, be cool, be you. Create a Tiktok video of you showing different heart poses and get a chance to win TikTok merchandise, Globe freebies, and more. Here's how you can join the hashtag challenge. 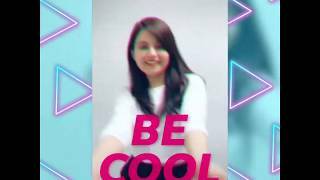 Download the TikTok app on your smartphone through Google Play or the App Store. Express your love for anyone or anything you’re passionate about! Show it through hand gestures, poses, or animations, and create your own heart versions in any way possible. Let your creativity run wild! Tap on the “Hashtags” button, then type “#CreateWithLove” and “#GlobeTikTok”. 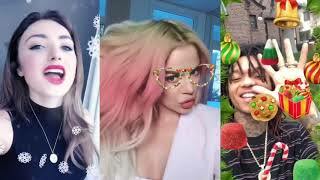 Post your video on the TikTok app and make sure it’s set to public. Winners will be announced on May 10, 2019 via our TikTok and Twitter accounts: @enjoyGLOBE. The contest is open to all TikTok users residing in the Philippines EXCEPT for all employees of Globe Telecom, its agencies, and their relatives up to the second degree of affinity or consanguinity. Yes, but only unique entries will be valid. You can only win once throughout the duration of the contest. If I win, how will I claim my prizes? Winners will be contacted via direct message on TikTok. Set your privacy settings to public, so we can send you a message. Winners who fail to respond within 48 hours upon notification will be forfeited. What if I win but I currently live in the province or outside Manila? Prizes don't include travel fare and accommodation. Are the prizes transferable or convertible to cash? All prizes are transferable but are NOT convertible to cash. Power up your gadgets and take videos anytime with a wide selection of high-capacity power banks.